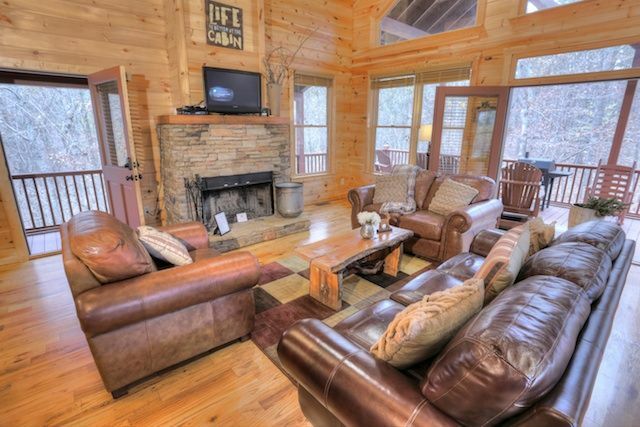 Hickory Hill is the perfect family or couples getaway. 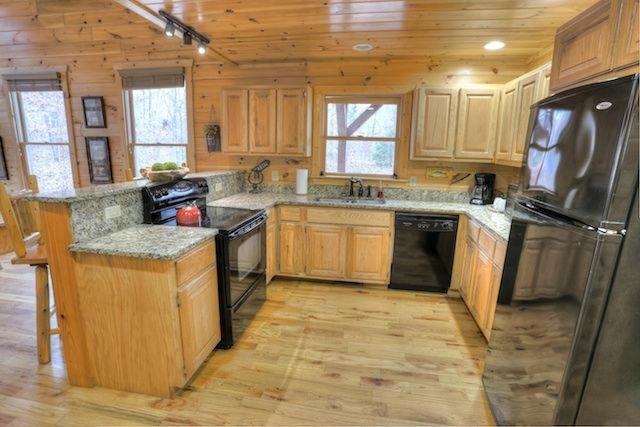 It is very private and has a walking traill located a short walk behind the cabin. 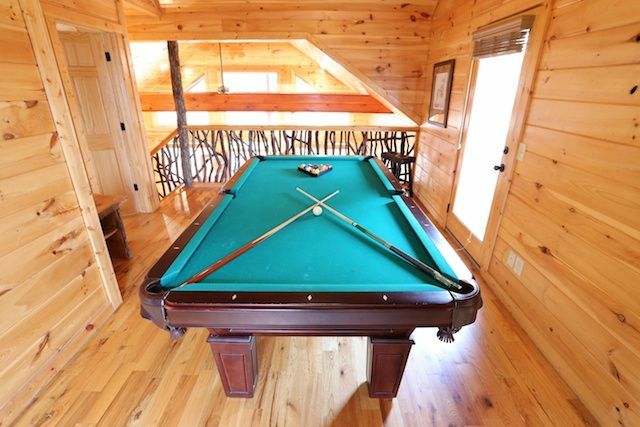 With Pool Table and 3 levels, it give plenty of space to kick back and enjoy the sounds of nature in this private setting. Now with HD receivers w/ Directv's premium channel package and tv's located in most rooms for each guest to enjoy. 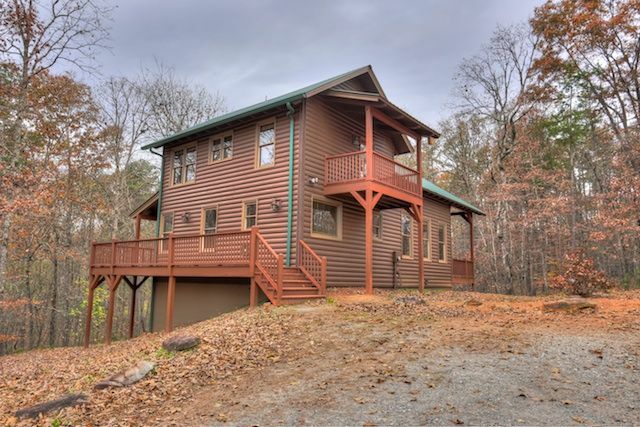 Recently freshly painted, this cabin looks brand new and Hickory Hill is a has a hot tub located on the back deck for you...r convenience. 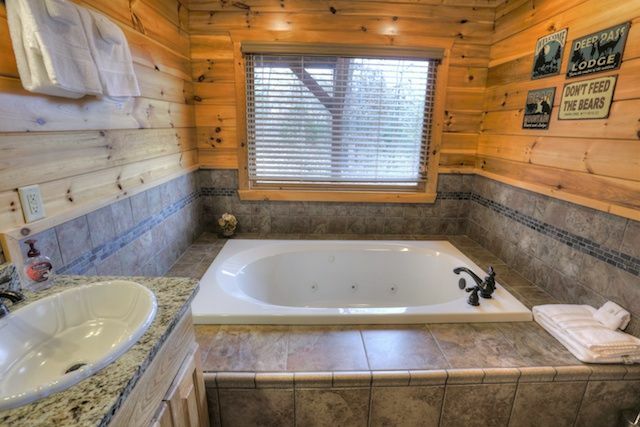 The master bedroom has a full size jacuzzi bath. 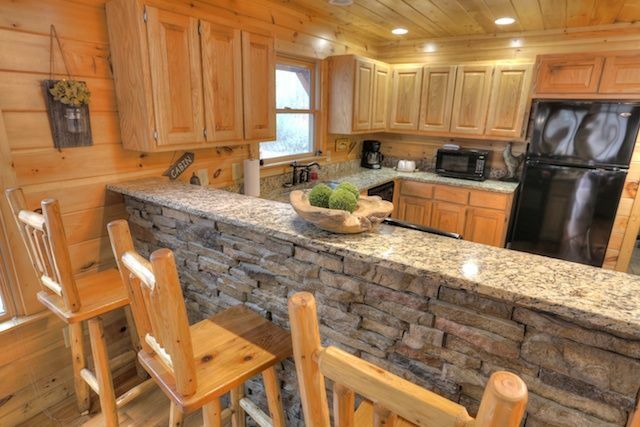 The kitchen is stocked with granite surfaces and an amazing rock fireplace for all to enjoy. 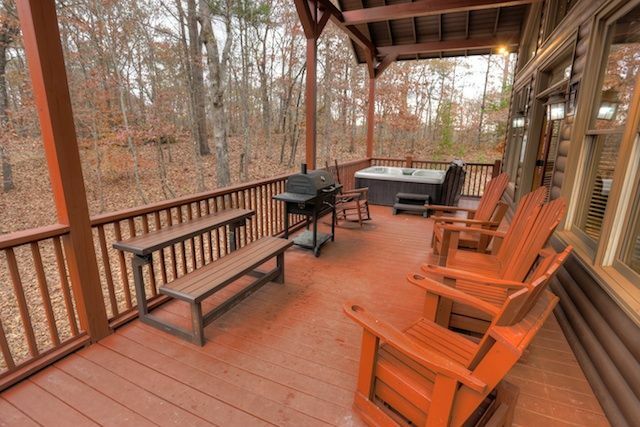 Outside is a family style firepit with bench seating. 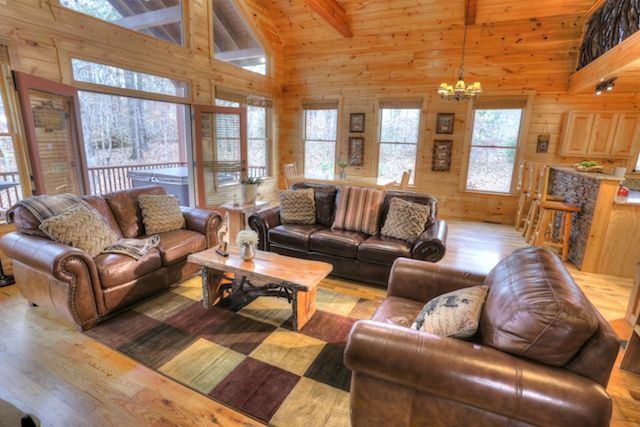 Short day trips allow you to travel to Helen, Unicoi State Park, Dahlonega and Clarkesville for the real mountain town experience. 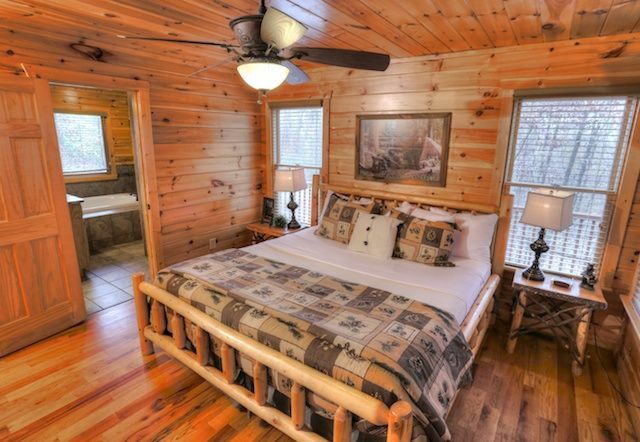 Awesome restaurants to enjoy located just 15-20 minutes scenic drive from the cabin. Please note: Pricing is based on 6 people -- there is an extra $10/nt. charge for each person after the 6th. . The housekeeper was 20 minutes late to finish the cleaning before we could move in, yet the bathroom mirrors, refregirator, and the oven/stove were dirty. There were also some old cups on the grounds by the fire pit. The website description of what's in the house was somewhat limited. Here's the clarification: only one bedroom has a king, the other 2 bedrooms have Quinn (or maybe smaller) beds. 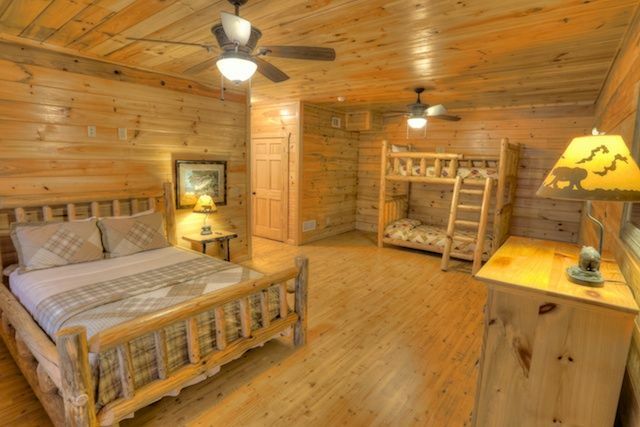 Downstairs bedroom is fairly large one with the Quinn and twin bunk beds. 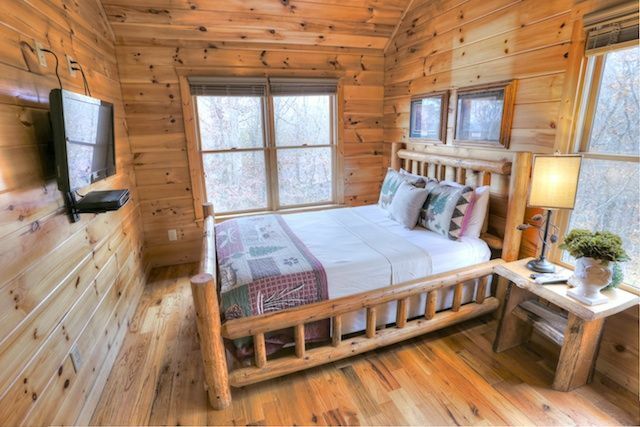 All beds in that cabin look rustic and great, but have very uncomfortable mattresses. Downstairs bedroom is heated with a space heater. 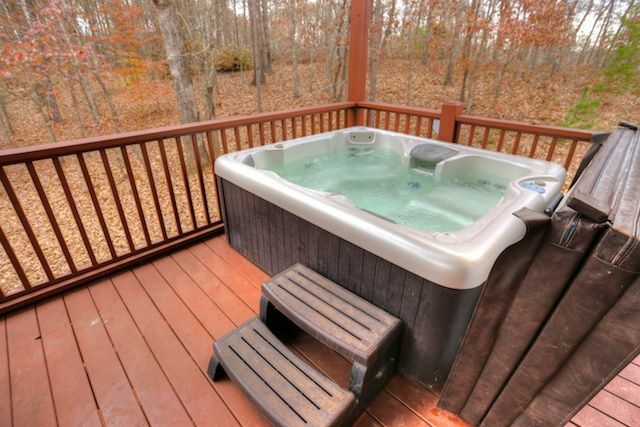 There were just 6 towels for the whole house, so don't forget to bring some shower towels if you have 8 people, and more if planning to use the hot tub. Bring some firewood if you want to enjoy the fireplace (or a hatchet:) and some charcoal if planning to grill. All in all we enjoyed our stay, but the accommodations there were so-so (hence the 3 stars). Owner's driving directions were accurate, but IPhone maps actually work there too! 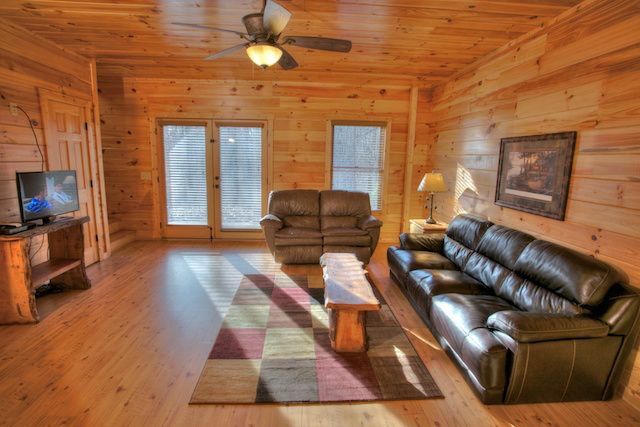 The cabin is located fairly close to other cabins, so you might see and hear the neighbors. We understand, there are different levels of properties out there, and this one just has to disclose what's inside. 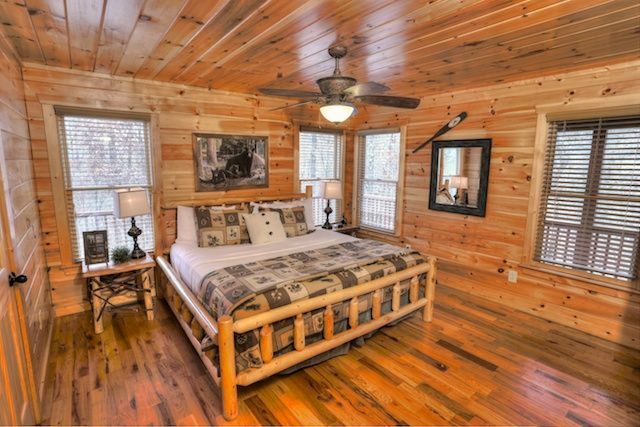 From the pictures we thought all 3 bedrooms had king beds...And please add more of towels for your next guests. 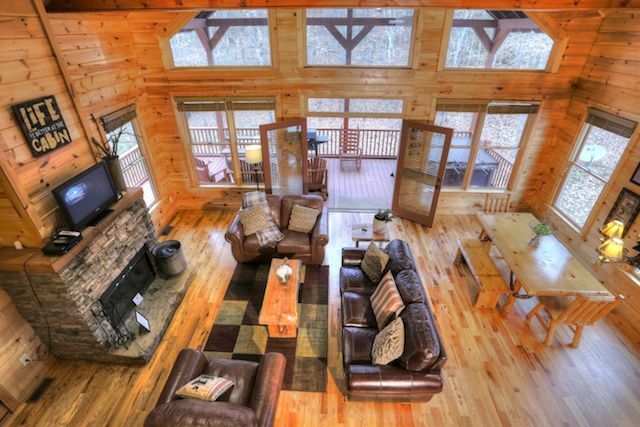 We absolutely loved our short stay at this cabin! The ease of transaction, directions, and information was fantastic. 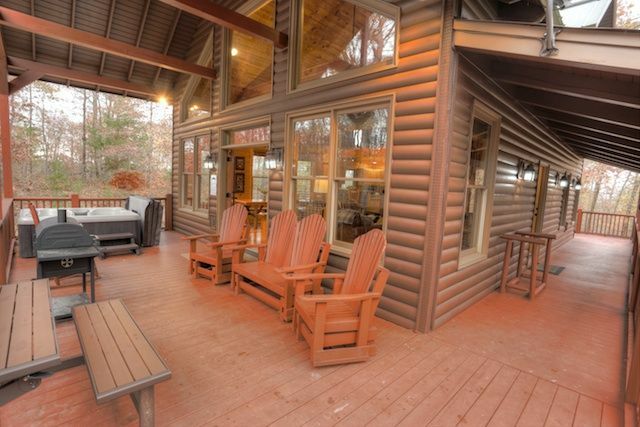 The cabin was just as pictured and fit everyone's needs. The cousins especially loved running around the property, playing pool in the loft, and having fun at the fire pit every evening! It was a fabulous getaway! 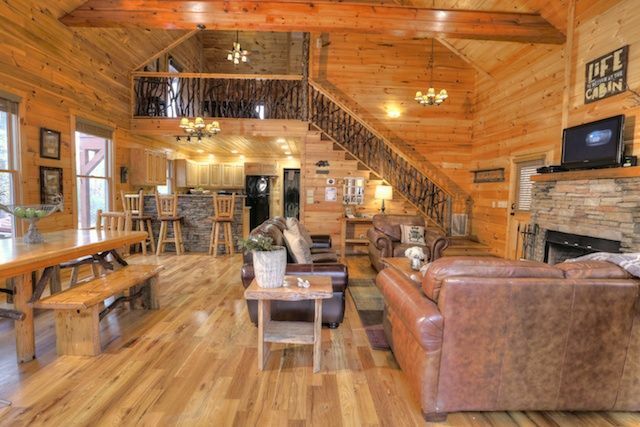 As the saying goes "Relax, you're at the cabin." That's exactly what we did. 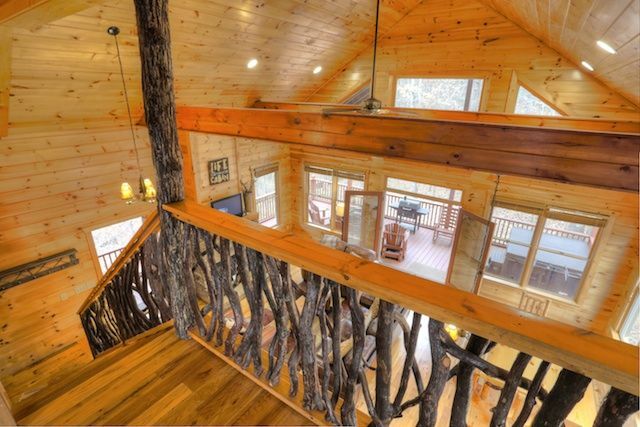 The Hickory Hill cabin is very impressive. 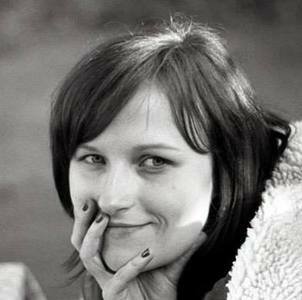 Gorgeous from the outside and in! Not one detail was missed! Everything is beautiful natural wood, rustic and clean. 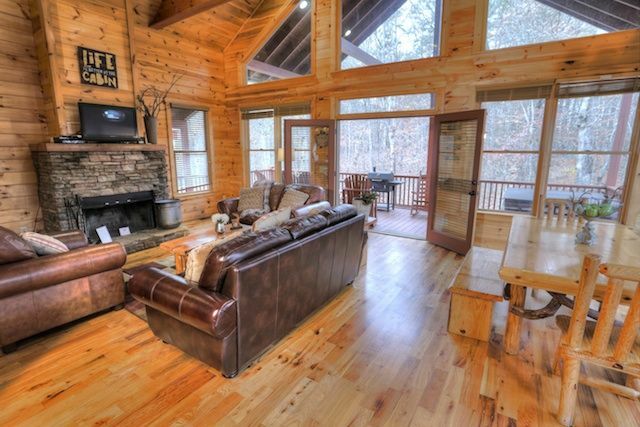 Antler Peak A Luxury Vacation Cabin-10 Min From Helen, GA! 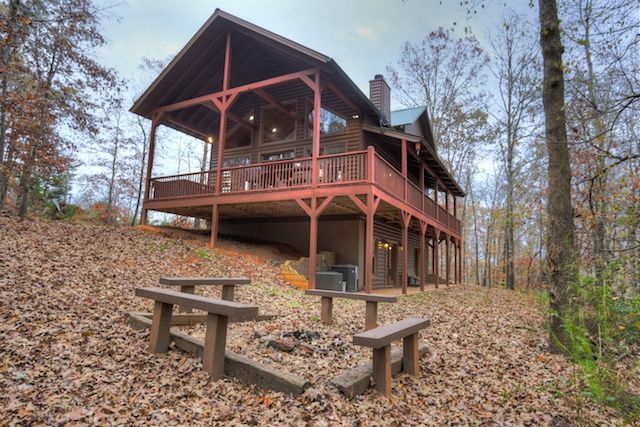 Best Helen Location - Private Mountain in Helen adjoins Chattahoochee River!! What brings you to Helen? Who's joining you?